Compact and attractive design, with a slimmed down body for a less bulky headrest then the ordinary 7" aftermarket headrest monitors. HD707Q can provide you with a completely new visual experience and endless entertainment whilst on the road. Compared with other aftermarket 7" headrest DVD players, HD707Q has a much more slimmer fit with less bulk. Why not choose one such good headrest DVD players at once? The 7" high resolution digital screen will bring you the most vivid and authentic images ever while still protecting your eyes. The zip cover design enables you to hide the headrests when not in use, which protects them from stealing by the thieves. Different from traditional adapter, HD707Q comes supplied with a small and suitable BMW adapter, which enables the installation and threading of these headrests easily and quick. BMW adapter: Connector's outer diameter is only 7mm! New BMW Adapter can get through the conduits easily. While the old adapter is too lumpy and hard to get through the conduits. Supports 32 bits games, so you can enjoy exciting games on your journey to pass the strenuous road time. Multiple Choices for Sound Out! The IR transimmter allows you to enjoy the audio files with wireless headphones. Supports dual channel(A&B)wireless infraed headphones. Play audio directly from the unit. 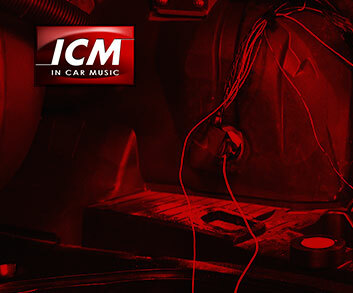 The FM transmitter can send the audio signal from the headrests to the other radio receiver(car stereo), then you can share the audio with other people. The DVD player is compatible with most DVDs and CDs that are available on the market. Supports Two Modes to Play: you can not only play the same movies on the two headrests or play different movies on the two headrests, which avoids the disturbances with each other in the car. With AUX in and Audio Visual out, you can share audio and visual entertainments on the headrests with other people or enjoy AV entertainments from other monitors on this unit.